Hello friends! Happy December!! It’s officially Christmastime. Break out the lights and the Santa hats, because it’s Christmas all day, every day until the 25th rolls around. Time to rewatch Home Alone and sing Mariah Carey’s “All I Want for Christmas” non-stop. Looking back, I didn’t really do all that much in November. So, this will be a fairly short post! YAYS! But also SADNESS. I enjoyed this one a great deal. It was a fantastic successor to Stalking Jack the Ripper. Audrey Rose as the protagonist flourished and the mystery was much more cleverly plotted than the first! A beautifully decorated book filled with gorgeous illustrations and stunning tales and fables. Definitely a new favorite of mine. I’ll be rereading this collection for years to come. This was a surprisingly humorous yet evocative and dark story with a lovably imperfect MC. Some characters lacked development and the romance was rubbish, but the book as a whole was very touching and entertaining. Not my favorite of the bunch, I have to admit. Hollow characters, non-existent world-building, and stilted writing contributed to the poor execution of a great concept. Not the most advanced sort of reading, but still loads of fun and a great departure from recent YAs. Ah the nostalgia. 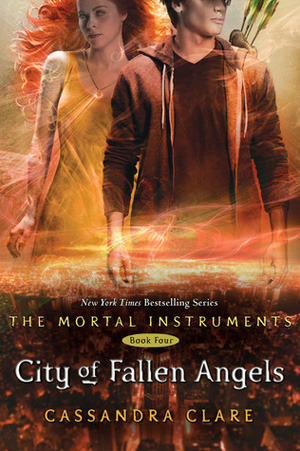 Even though the first book is arguably the weakest of the TMI series, it’s still a well-written urban fantasy with intriguing politics, characters, and fantastical lore. 1. I finally bought the paperback collection of The Mortal Instruments! 2. I’m not entirely on top of things, but I at least managed to do a lot more blog-hopping than I have in the past few months. 3. Thor: Ragnorok was a brilliant movie with non-stop comedy and show-stopping action. Loved every bit of it and I would like to see it again and again and again. 4. Thanksgiving with the family was a memorable event. So much food, liquor, and dancing. A good ‘ole family affair complete with Grandma serving peach pie and the entire family singing/rapping Humble by Kendrick Lamer. 5. I finally got some time to do some baking. Make my signature sugar cookies and tried out a new recipe for chocolate chip cookies. Oh I know right!? By the time I’m done with it, I’ll know every single line and scene LOL. Haha, thanks. She had some really great analytical points on it 😀 Couldn’t miss out on a chance for some deep conversation! When you do manage to pick up Stalking Jack the Ripper, I hope you really enjoy it! 😀 I’d love to read your thoughts on it. Thank you! And you as well! Oh no! But also, oh yay! On top of your pre-orders, I see LOL. I LOVED Thor so much. It was so much fun and so hilarious. I’m sure you’ll enjoy it! Oh so top. It’s part of my plan to budget my life to within an inch of it’s life! 😀 I can’t wait to see it. Language of Thorns was a bit of a disappointment to me. I loved the Ravkan stories but wasn't a big fan of the others. I really liked The Soldier Prince, though, especially because I'm such a sucker for Christmasy tales and the Nutcracker, etc. But yeah, was expecting a bit more! So happy to hear you're having a grand time, Azia ❤ Best of luck with your goal list! I checked your site and saw the wallpaper 😂😂 SO MUCH CHRISTMAS hahaha. I love it! Yeah, Little Knife was a bit meh for me as well. It was just so heartbreaking! Ah I see, that makes sense 🙂 I don’t remember it too well, actually, but I remember finding it a bit too plain/predictable and not as intricate as some fairy tales I’m used to. Ah, I hope the rest of the book has appealed to you! I liked the simplicity of Ayama because it was the only one in the collection that was like that. And also, because it featured POCs and drew on some of my favorite tales! But I can see how it might not be to everyone’s taste 😀 There’s just so many different things to like about folktales and myths! Ah that’s all right! I know a few people who dislike that very same trope as well. So, not really a huge fan of Disney’s Beauty and the Beast? Or are you not a fan of the trope when it’s in literary form?? I’ll give it a go again sometime, though, just to make sure my taste hasn’t changed! Haha, don’t be sorry! I was just curious 😀 I like the movie but it’s definitely not one of my faves. And now that I think about it, I don’t usually read that many books with a similar beauty/beast trope…I prefer the Cinderella trope above all else, I think. Or maybe even Little Mermaid!